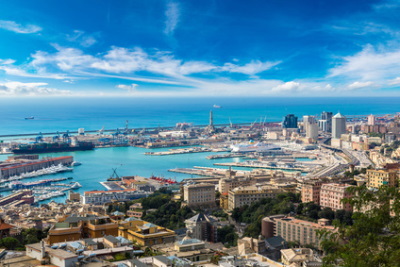 Cruises from Genoa depart year-round. Driving from Malpensa: Take highway to Milano (50-60 Km). Follow signs and exit at Genova-Bologna. Follow signs to exit indicating Genoa. The exit for the port is Genova Ovest. There is a toll at this exit. Follow signs that say Porto and this will take you to the port. Driving from Genoa: Take highway indicating Genova. Exit at Genova Ovest. Follow signs that say Port. This will take you to the port. Pier Terminal Andria Doria.